Fabric-lined interior comes with 2 slip pockets and 1 zippered pocket. Approximate Dimensions: Exterior - 9.5" W X 8" H X 4" D; Interior - 9.5" W X 5.5" H X 4" D; Handles - 4.5" handle drop; Shoulder Strap (fully extended) - 25" shoulder drop. A touch of classic design and eye-catching glamor can be all it takes to bring an outfit together, and that’s just what you’ll get when you make this charming office tote a part of your weekly wardrobe. Featuring a classic satchel shape, always-stylish leatherette, and gleaming gold-tone hardware (including a decorative lock, key, and chain), this handbag brings both sophistication and stunning style to any look. 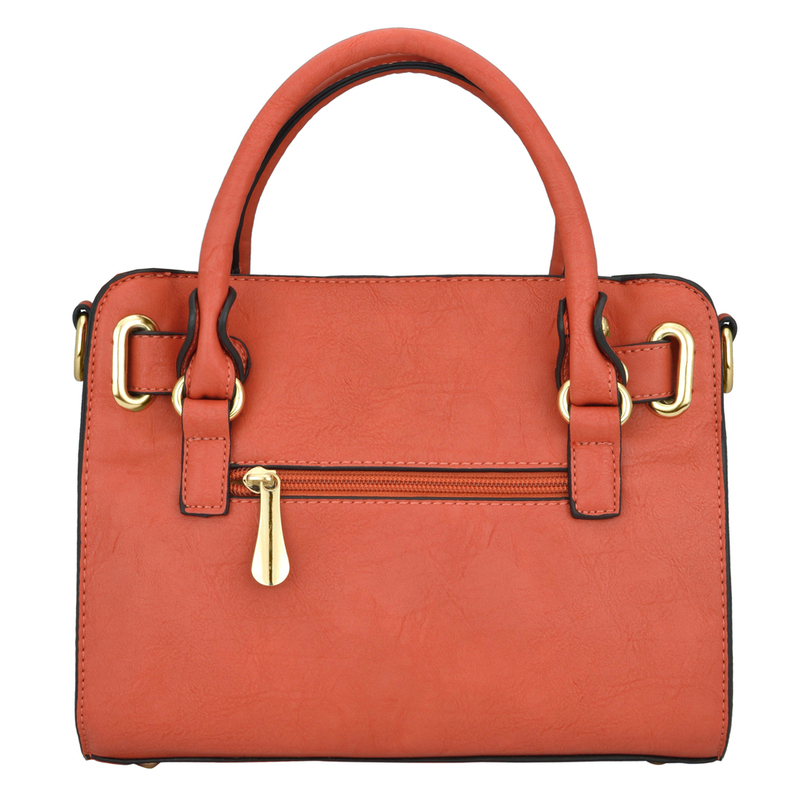 Take a peek beneath the chic exterior and the zippered top closure, and you’ll see that this handbag is sensible as well as stylish, thanks to a fabric-lined interior that comes complete with 2 slip pockets and 1 zippered pocket. Another zippered pocket on the back exterior is perfect for stashing additional items, and the 2 top handles and 1 adjustable shoulder strap make it easy for you to keep style and your daily essentials by your side throughout the day or night.